The Resident Evil series was never really a game series that I had much interest in playing. Pulled back, over the shoulder cameras (or, depending on the game, fixed cameras) with slow, almost clunky character movement, stilted performances, and crazy stories that included a twenty year old midget that looked to be in his forties fusing with plague monsters was never really my thing. I didn’t mind the series but I was never really a fan. Enter Resident Evil 7: Biohazard. 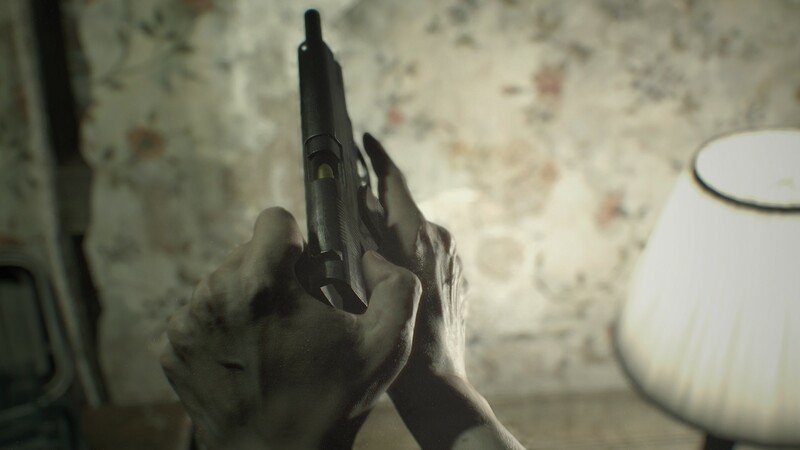 RE7 had a rather unique look for a Resident Evil game, most notably that it was in the first-person perspective and that it seemed to be a more conventional horror title than previous entries. It took me some time to work up the courage to try out the Resident Evil 7 Teaser: Beginning Hours trailer, not being the biggest fan of horror games (any of you who have watched me play horror games know I have a very ‘oh, hell naw’ approach to most games with any amount of spooky in them). There was worry in the beginning that this would not be a game for me but, after spending well over an hour avoiding the Molded (a black, sinewy horror with a fang filled maw), getting my toes wet in the hidden lore behind this malevolent family (I’m a sucker for lore), and doing all the optional puzzle solving bits to get the ‘full game’ reward I was hooked. 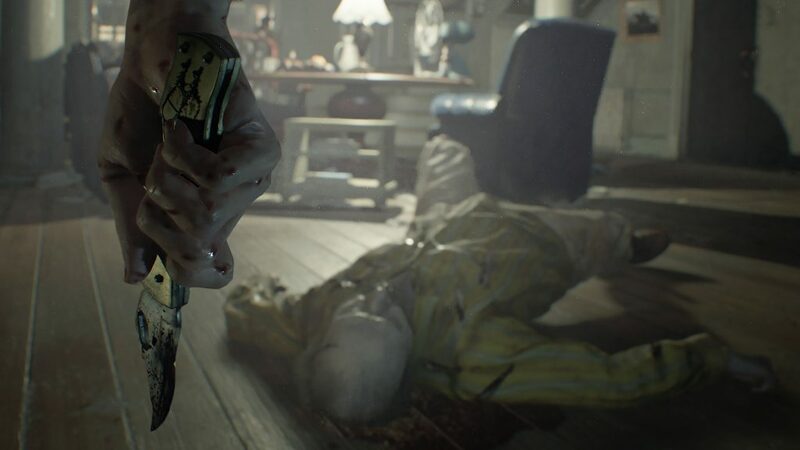 RE7 starts by throwing us into the shoes of “every-man” Ethan Winters as he travels to Dulvey, Louisiana in search of his ex-wife Mia Winters, a woman who was presumed dead until she sent Ethan a message asking for him to stop trying to find her which, of course, sent Ethan down this path. We arrive at the Baker Ranch and this is where Ethan’s nightmare really begins. Before proceeding, we find an abandoned van belonging to the crew of Sewer Gators, the group we explored the guest house with in Beginning Hours, giving a nice connection to the teaser in the main game, something I personally liked as it felt like it added flavor to the main game. When we awake, tied to a chair, we find ourselves sitting at a dinner table with the entire Baker family; Jack, Marguerite, and Lucas. 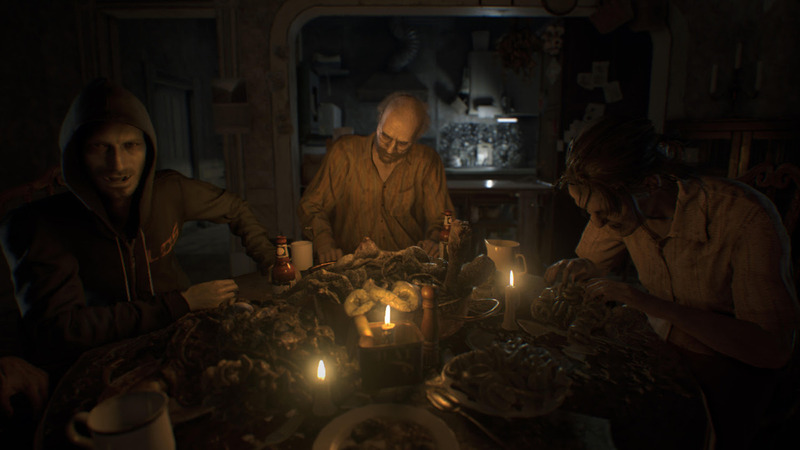 Each of the three main characters has a particular horror movie theme to them and a corresponding portion of the ranch, giving them all a very particular flavor, good variety between their areas, and unique play styles. Jack is our classic ‘slasher’ inspired character and is found in the main house. He possesses superhuman strength (during one of my ‘escapes’, Jack simply burst through the wall in front of me, cutting off my path and causing me to have to scramble to sprint off in the other direction), usually wields some sort of makeshift weapon that previously served as a gardening tool (one of those being a cultivator), and can shrug off most damage inflicted by Ethan, making him a constant threat while he stalks Ethan though the main house. Marguerite is our body and natural horror inspired character and can be found in the old house, a location that is situated behind the main house and above the swamps that encircle the Baker ranch. Marguerite is a demented mother figure who’s quick to offend (she becomes irate at Ethan when he doesn’t want to eat the ‘dinner’ she prepared for him during their first encounter), hyper aggressive, and lurks about the old house searching for Ethan while her swarms of deadly insects aid her in keeping out intruders. Lucas encompasses the physiological horror aspect and exists mostly hidden behind cameras and other such devices as he lures Ethan into the slaughter house filled with traps, puzzles, and molded that he is never meant to escape. Lucas, brilliant and demented, felt like less of a threat than the other two but his area poses a special scenario: traps. Booby trapped crates which can either hold items or explode are scattered about while trip mines pepper the area, making running from the special molded that exist there far more deadly than normal. And, without spoiling any of the game, let me simply say that the next several hours of exploring the Baker’s ranch was an amazing rollercoaster of a ride and I can’t wait to dive back in. 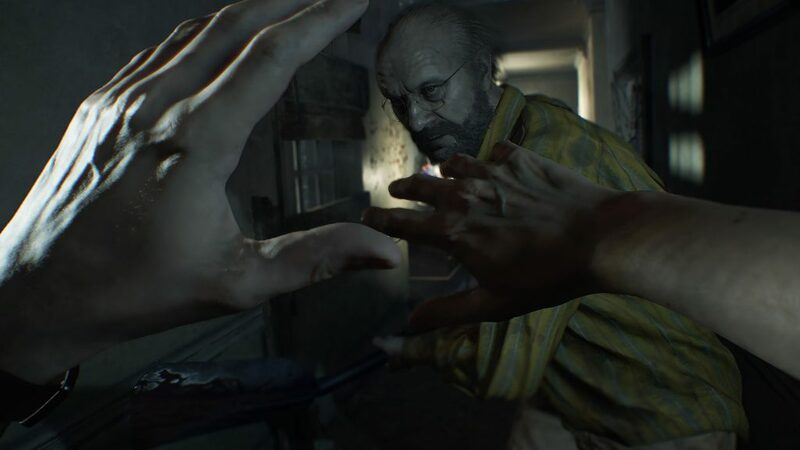 Tense atmosphere – There are only a few moments in RE7 where I didn’t feel like I was secretly being stalked from the shadows by a member of the family or by one of the Molded. From subtle music cues to ambient noises, there was the constant fear that I would turn around and be staring into the jagged and gaping maw of one of the Molded before he ended my life and sent me back to the last save point. This added true fear and suspense that made rounding some corners of the ranch really difficult to do and many may feel the same. Well executed horror elements – Each family member has a particular theme and they are executed to near perfection. Jack stomped around the house and engaged in fear-inducing bouts of inhuman (and very slasher-esque) feats of strength and durability, Marguerite lurked about the old house with her disgusting little swarms of bugs, and Lucas sat behind a screen, watching your every move while waiting for you to fall into his ‘unwinnable’ trap. Some horror tropes are either overdone or executed poorly but this title does it well and uniquely. Satisfying endgame and world-building – The world that was crafted in RE7 has probably been one of my favorite horror worlds to date. The events at the Baker ranch easily connect to the rest of the Resident Evil series while building upon it, as well. Not only was the world-building done well but the inclusion of two endings had prompted me to start all over again just to see how the alternate ending would play out. This amount of content is something to really be happy about when playing through horror games as many are often short and not explained in greater detail when it comes to the lore of the universe. Player movement – Now, Ethan is our every-man. He is supposed to represent an average person who doesn’t have any particularly amazing or helpful skill sets. He’s not a former law enforcement officer, armed forces, or have prior training of any kind; he is just a regular guy looking for his previously presumed-dead ex-wife. Even knowing this, however, he felt a bit sluggish at times which resulted in my death more than once. His turning seemed slow and cumbersome, even with the inclusion of the 180⁰ quick snap. He even felt slow to start when moving in any direction other than forwards, and his sprint seems to take a few extra seconds to really get me out of danger. Lack of player direction – There are a few areas in RE7 without a clear path of progression. Things that you would not think to do, even if they seem like the simple answer, caused me to spend more time in certain areas that I believed I should have simply wondering if I should just go for it. Be it running through some sort of danger that you would normally avoid or back tracking to a location that hadn’t been visited since the start of the game, there are a few times that the path the player is supposed to take was less than clear. At one point, I stood, scratching my head, before simply trying something that turned out to be the correct answer. Some technical issues – This was not a rampant issue but it was issue enough to be addressed here. There were a few times during the game when I went to pick something up just to have it vanish somewhere between the ground and my inventory; ammo, herbs, chems, nothing seemed to be safe other than key items. One extremely memorable instance was when I was attempting to face down one of the four-legged Molded, a faster variant of the typical Molded with a powerful jumping attack but less health to compensate, with no ammo. I broke open a box, saw shotgun rounds, scooped them up, pulled out my shotgun, and went to load it but, upon hitting the ‘reload’ button, found I held no rounds. I looked the floor over to find nothing, glanced in my inventory to see no shotgun rounds there,either, and was sent back to my last checkpoint after having the four legged Molded slap my head off my body. All in all, I was really impressed with Resident Evil 7: Biohazard. The characters were well-written with each one feeling fleshed-out and unique in their own ways. The story, while connected to the rest of the RE-verse, was strong enough to stand on its own and not rely on explanations and events from previous entries as a crutch. This, of course, makes it easier for new comers to simply jump into the world of Resident Evil without getting bogged down with the mountainous amount of content from previous entries into the series, a massive plus in my book. 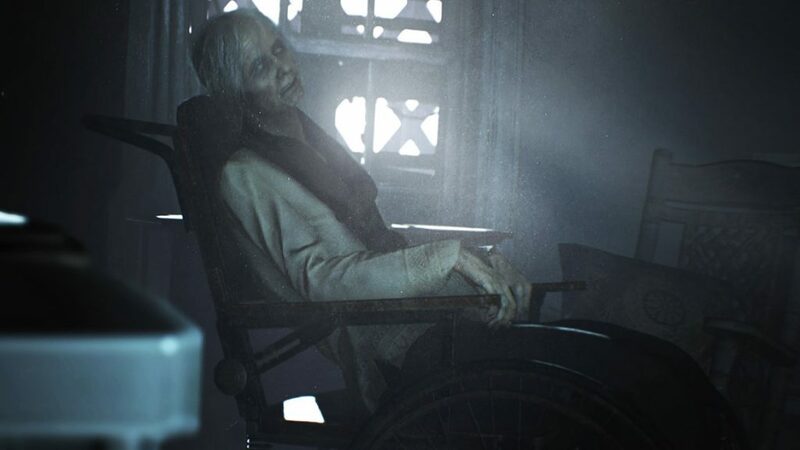 I hope that RE7’s successes will prompt Capcom to continue along this particularly horrific path as it was the first Resident Evil game that I was genuinely excited to play and determined to beat. And not just once, but twice. 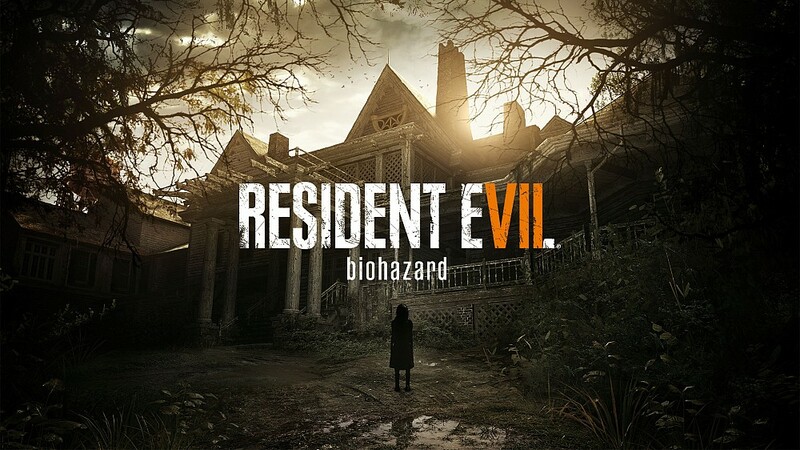 Resident Evil 7: Biohazard was developed and published by Capcom. It was released for Xbox One [reviewed], PlayStation 4, and PC on January 24th, 2017. A press review copy was provided for The Hidden Levels. Many studios submit copies for site review but this is in no way factored into our review scores. Games are scored on their individual merits and our rating system is explained here.